Congratulations to our Laureados and Lifetime Award Winners and 2012 Year-End Award Recipients! 41 awards will be presented at the NAPHA National Show this year. The winners will also be listed in our National Show Program. Congratulations to all of these fine horses, owners and riders for their extraordinary efforts in the show ring, on the trail, in exhibitions and parades! Champion of Champion at the National show, 3 times in a specific division. This is a lifetime achievement award earned by horses who have accrued at least 3,000 show points in the qualifying classes during their show careers. 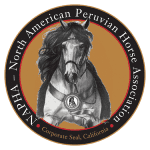 This is a lifetime achievement award earned by performance horses who have accrued at least 3,000 show points in the Performance division during their show careers. This is an annual award given to horses who have earned the highest number of show points in the show year in their respective category. 2013 National Show a Huge Success!